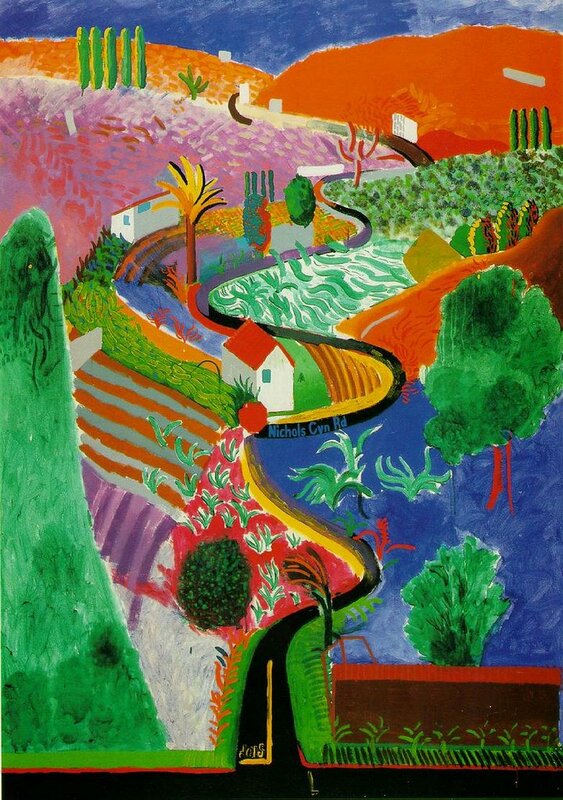 David Hockney became internationally famous in the early 1960s as one of the leaders of the pop art movement in the United Kingdom. He emigrated to the United States and was known for his “swimming pool” paintings during the ’60s, for elaborate stage sets during the ’70s and for photo collages during the ’80s. In recent years he has gained more attention for his book Secret Knowledge: Rediscovering the Techniques of the Old Masters (2001), in which he advanced the theory that as early as 1420 art masters were using optical devices to assist them in their work. One of his most famous paintings — thanks to poster sales — is “Nichols Canyon,” which can be seen here.